Al-Adwani Law Firm was established by Mr. Ayyad Al-Adwani, a long-standing member of the Kuwait and International legal communities for over 25 years. Mr. Ayyad’s objective is to provide clients with legal services, utilizing a unique approach superior to prevailing legal norms, while always placing the client’s interest as first priority. Prior to Mr. Al-Adwani launching Al-Adwani Law Firm, he was partnered with various reputable law firms throughout the State of Kuwait and the United States of America. 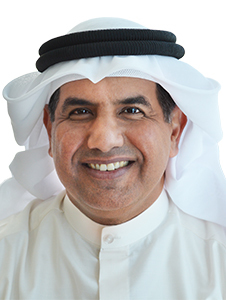 He is licensed to represent clients in all courts in Kuwait including the Court of Cassation and Constitutional Court, in addition to being a member of the Kuwait Lawyers Society and International Bar Association. Mr. Adwani is also a registered arbitrator in the Arbitration Centre of Kuwait Chamber of Commerce and Industry, and the Commercial Arbitration Centre of the Gulf Cooperation Council.